Every babysitter needs to know what to do should an accident occur on the job. Follow this guide to help prepare your sitter for a wide range of situations — from scrapes and bruises to life‐threatening emergencies— to better protect your child while you are away. Every job has its guidelines and babysitting is no exception. Let your sitter know what is expected of them by reviewing these important guidelines and safety precautions. And help them prepare for the unexpected by filling out and reviewing critical information included in the forms on pages 2 and 3 of this guide. Understands the need for constant supervision of your child, and that he/she must stay alert and know where your child is and what your child is doing at all times. Is familiar with the layout of your home and where to find all needed items, such as your child’s clothing, toys and snacks. Knows where all the exit doors are located and how to unlock them in the event that they need to exit quickly because of an emergency. Knows to keep all windows and doors closed and locked, and to NEVER unlock the door for strangers. Knows not to give out information over the phone; to never say that you are not home, but instead to tell callers that you “can not come to the phone right now”, and to take a message. Is aware of any potential hazards in the home, such as small items that could pose a choking threat; any appliances or exposed electrical outlets that could cause accidental burns, or any long cords or strings that could cause strangulation. Knows how to identify and remove any toy dangers such as: tiny toys with small removable parts; broken toys or toys with sharp points or edges; inappropriate toys, for example toys that may be safe for older children but could be dangerous in the hands of younger children; or any toys with long cords or strings that could become wrapped around a child’s neck and cause strangulation. Knows where to locate and how to use basic first aid items such as band‐aids, thermometers and pain relievers. Has written instructions of any medications that must be given in your absence, including name of medication and prescribed dosage. Is aware of any allergies that your child might have, and how to handle an allergic reaction should one occur. In addition to the above, be sure to fill out the information outlined on pages 2 and 3 of this guide, and to review both forms with your babysitter prior to your departure. These are just a few things you can do to protect your child when you are away from home. 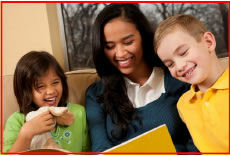 Please visit www.Montlick.com/FamilySafety or HelpKeepKidsSafe.org and click on “Family Safety and Legal Tips,” to see our latest safety videos and downloadable materials, and to register for Free Safety Alerts. This Emergency Response Guide for Babysitters is presented by Georgia/Atlanta Accident Attorneys Montlick & Associates. 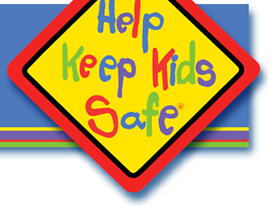 As a parent, your child's safety and well being is always a top priority. When you hire someone to watch your child, you are not just hiring a sitter; you are hiring a person you can trust with the responsibility of your child's life. That's why it is so important your babysitter knows what to do should an accident occur while watching your child. As part of our ongoing commitment to family safety and preventing injuries, Montlick & Associates has put together the Emergency Response Guide above to help keep your children safe while you are away. You can help your babysitter prepare for the unexpected by filling out and reviewing the critical information included on pages 2 and 3 of the printable PDF flyer provided above from Atlanta Accident Attorneys Montlick & Associates.